Katharina Groß is a Dr. phil. 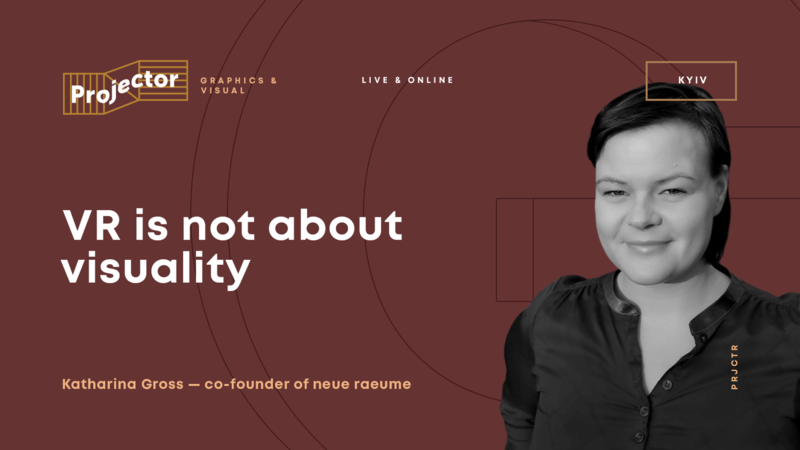 candidate at Bauhaus University Weimar, media philosophy department and co-founder of neue raeume; a collaboration to explore the artistic-technical possibilities in software for virtual environments and sensor technology. Her work focuses on artistic research with current media technologies, media aesthetics and knowledge culture as well as practice as research, theory as practice. The discourse about virtual «realities» (VR) usually runs one-dimensionally, namely following the desire to let the simulacra become perceptible and to create the closest proximity between «user» and environment. But the maxim of a seamless translation from the physical into the «virtual» world ultimately proves to be a utopian horizon. If immersion as a leading star of the VR industry requires the invisibility of technology, the question arises how this can be achieved. Actually, it depends to a large extent on the body's ability to integrate the technique into its body schema. VR thus operates far more on the path of habituation, which is essentially a tactile quality than on the path of attention. To get involved and to be entranced — both outline the magic circle from where we want to start our little voyage through the virtual. What do we hold on and what is attached to us? What is immersion from an ecological perspective? And what ethical implications and aesthetic consequences arise with such a perspective? — aesthetic/ethical implications and aesthetic consequences. The lecture is useful not only for (VR-) designers but for every artistically and holistically operating human.